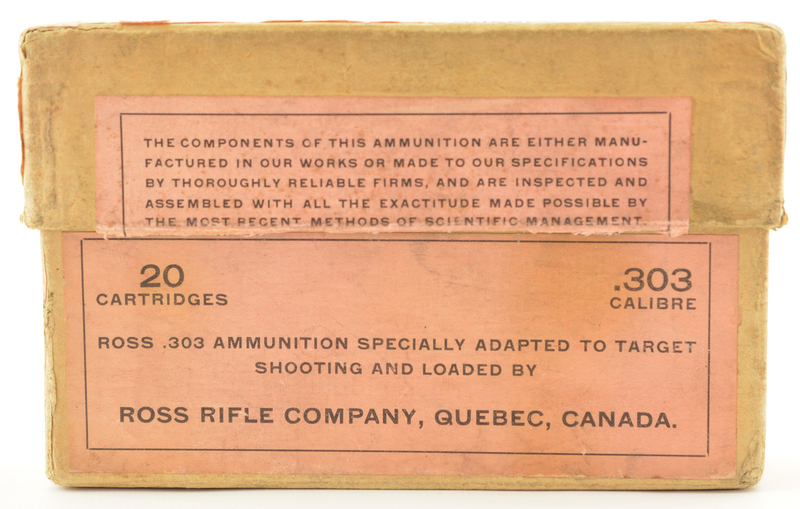 Description: Original cartridge box for .280 Ross. 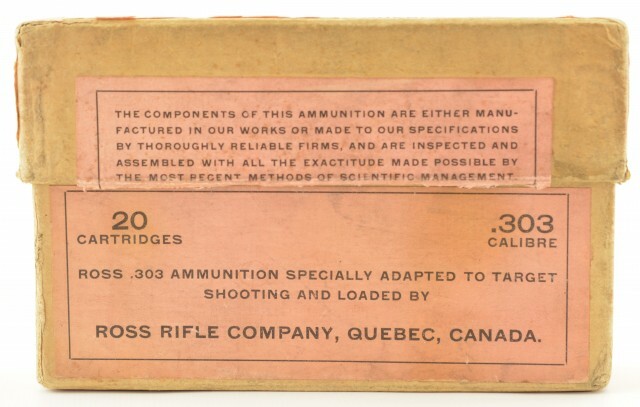 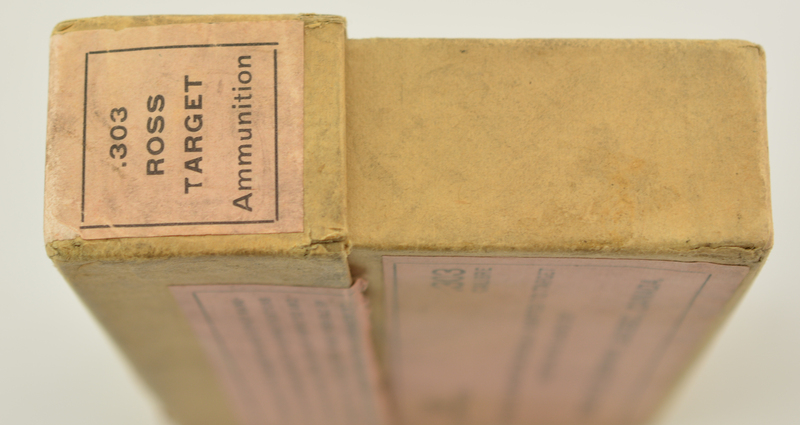 This is one of the earlier style of boxes built for the .280 Ross cartridge. For reference see page 220 of "The Ross Rifle Story" which shows this box. 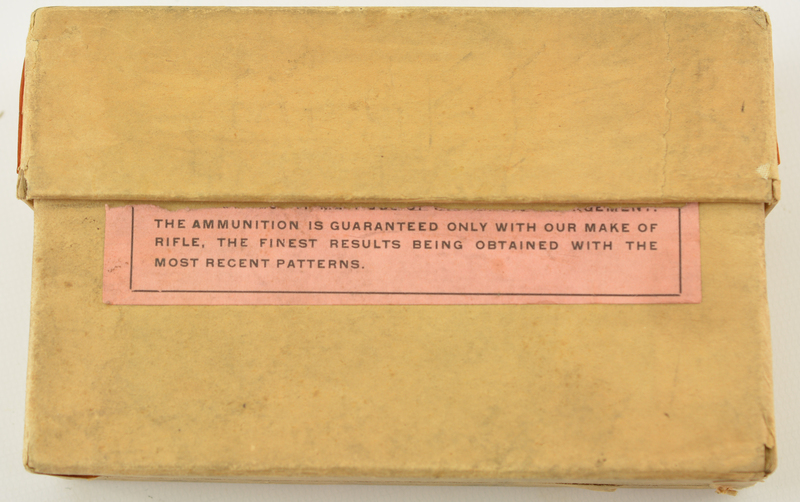 The box is complete with the front, top, back and both end labels. 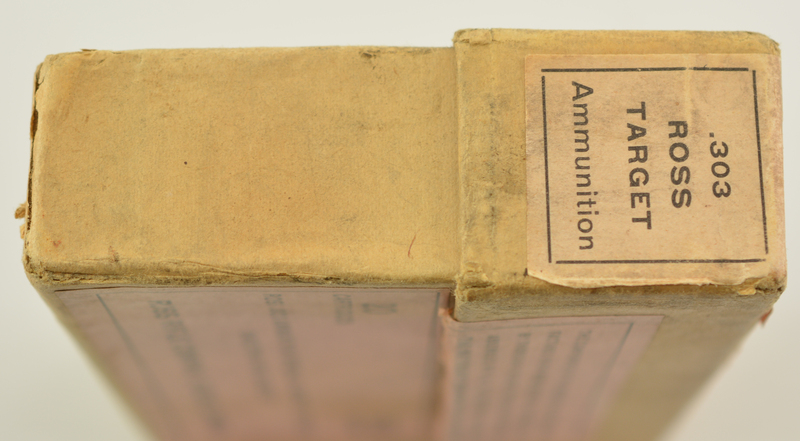 This has all of the original slightly faded green labels. The top has one minor scrape at the center point, otherwise complete with inserts.